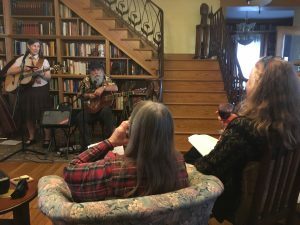 The award-winning husband and wife duo of Curtis Teague and Loretta Simonet gathered together a stellar cast of characters for this collection of original songs about real-life, ordinary people, who overcame seemingly insurmountable challenges in their lives, and came out stronger for the journey. These are story-songs of courage, resilience, kindness and determination. 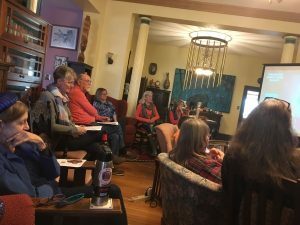 The recording, “When There’s Good to Be Done,” was backed by an Artist Initiative grant awarded by the Minnesota State Arts Board. There’s a rich tapestry of inspiration and riveting drama offered by the people (mostly Minnesotans) Simonet sought out to interview and write about; a couple who married “against the odds” in 1947; a WWII vet whose ship was sunk by Kamikazes and who saved another man’s life; a woman who grew up in poverty in Somalia and became a nurse at Mayo Clinic; a Native American man who had a love-less upbringing at the State Orphanage in Owatonna; a decades-long lost (and found!) love story: a woman who donated a kidney to a little girl she’d never met; a couple raising kids on the severe end of the autism spectrum, and more. Before each song, Curtis & Loretta tell how they found that person, and what led up to the challenge they faced. 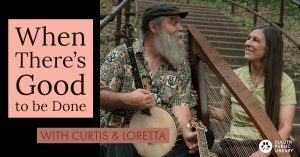 All the songs are crafted with Loretta’s poignant story-telling style, and presented with Curtis & Loretta’s signature tight vocal harmonies and array of stringed instruments, including folk harp, mandocello, guitars, and clawhammer banjo. 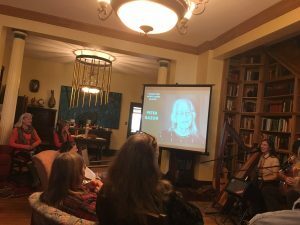 “These are amazing stories – and each song is more powerful than the last…Instrumentally, the pair are a folkie power duo. Capable of double-digitry, they limit themselves to a half dozen instruments on “When There’s Good to Be Done.” …. Adam Granger, Minnesota Bluegrass.